David A Kirsch, D.C., is a chiropractor located in Birmingham, MI. Techniques: • Gonstead • Cox • Applied Kinesiology • Sacro Occipital Technique Take the next step and contact Dr. David A Kirsch, D.C., for a consultation in Birmingham, MI or to get more information. Laura L Vanloon, D.C., is a chiropractor located in Birmingham, MI. Techniques: • Bio-Energetic Synchronization Technique • KST • BEST Take the next step and contact Dr. Laura L Vanloon, D.C., for a consultation in Birmingham, MI or to get more information. Amanda B Rossi, D.C., is a chiropractor located in Birmingham, MI. Techniques: • Applied Kinesiology • Motion Analysis (Palpation) Take the next step and contact Dr. Amanda B Rossi, D.C., for a consultation in Birmingham, MI or to get more information. Joel H Kirsch, D.C., is a chiropractor located in Birmingham, MI. Techniques: • Diversified • Motion Analysis (Palpation) • Cox • Neuro Muscular Technique Take the next step and contact Dr. Joel H Kirsch, D.C., for a consultation in Birmingham, MI or to get more information. Robert P Radtke, D.C., is a chiropractor located in Birmingham, MI. Techniques: • Applied Kinesiology Take the next step and contact Dr. Robert P Radtke, D.C., for a consultation in Birmingham, MI or to get more information. Daniel J Judge, D.C., is a chiropractor located in Birmingham, MI. Techniques: • Blair • Upper Cervical • Activator Methods Take the next step and contact Dr. Daniel J Judge, D.C., for a consultation in Birmingham, MI or to get more information. James Dankovich, D.C., is a chiropractor located in Birmingham, MI. Techniques: • Gonstead • Cox • Applied Kinesiology • Sacro Occipital Technique Take the next step and contact Dr. James Dankovich, D.C., for a consultation in Birmingham, MI or to get more information. Jennifer L Turnbull Bonde, D.C.
Jennifer L Turnbull Bonde, D.C., is a chiropractor located in Birmingham, MI. Techniques: • Diversified • Motion Analysis (Palpation) • Applied Kinesiology • Trigger Point Therapy • Logan Basic Take the next step and contact Dr. Jennifer L Turnbull Bonde, D.C., for a consultation in Birmingham, MI or to get more information. 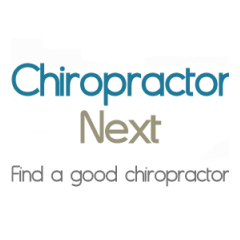 Marc S Terebelo, D.C., is a chiropractor located in Birmingham, MI. Techniques: • Applied Kinesiology • CranioSacral Therapy • Cox • Manual Adjusting • Bioset Allergy Elimination Take the next step and contact Dr. Marc S Terebelo, D.C., for a consultation in Birmingham, MI or to get more information.